An update on the upcoming Stage Play event. The updates they've given mostly act to update and clarify information they gave last time, since the event will be held in under a week. Those who pre-ordered the tri. Stage Play DVD from the theater when it was running were able to sign up for a ticket via Club Animate for a tri. Stage Play DVD talk and meet event on April 21st. People who applied for entry to the event have been contacted and need to respond to Animate if they will be attending. Originally announced as just Gaku Matsumoto (Taichi) and Shohei Hashimoto (Yamato), they had announced Marina Tanoue (Mimi), Junya Komatsu (Jou), and Kenta Nomiyama (Takeru) would also be there, before pulling the announcement. They also apologized for some of the miscommunications regarding the event. So all the actors who played the Chosen Children will be at the DVD event, leaving Oreno Graffiti (Etemon) as the only primary cast member to not be announced as attending. Update- Tweaked the explanation above of how you would get a ticket. 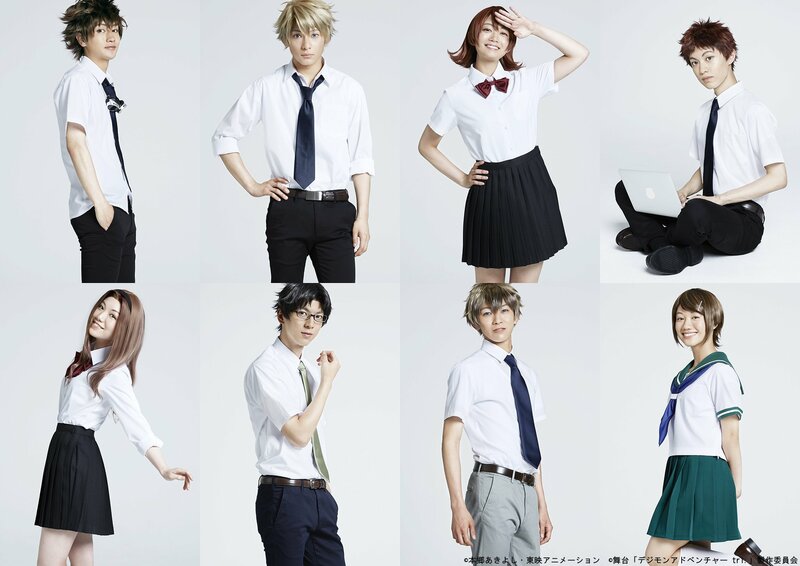 adventure tri., digimon, stage play, tri.